Pay on foot parking systems are becoming an increasingly popular off-street parking solution across Ireland. 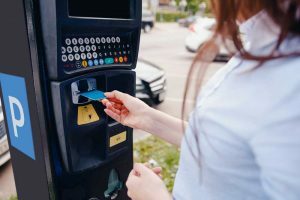 This type of parking payment system brings many advantages to businesses, such as the fact that they require fewer parking employees to check tickets than the older ‘Pay and Display’ systems. Learn about the many benefits of pay on foot systems here. A pay on foot parking system is a convenient, reliable and flexible solution for many businesses. Rather than paying for a ticket and calculating how many hours you will need on arrival and displaying the ticket on the windscreen of your car, this type of system involves drivers walking to the pay station to pay before returning to their vehicle to exit the site. A major advantage of this system is the fact that the client has complete control over the amount of time they decide to use the car park. It’s a simple self-enforcing system so it’s equally beneficial for the car park owner. 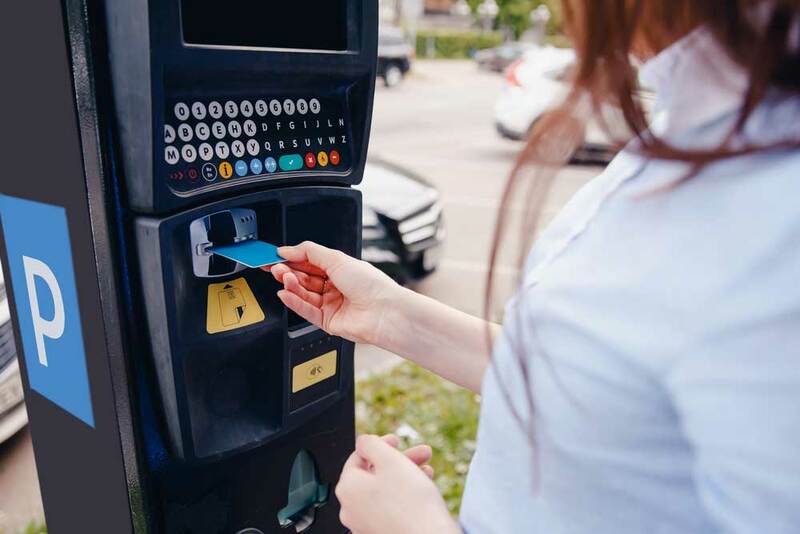 Best of all, from the site owner’s point of view, it completely dispenses with the need for car park attendants to check tickets and dispense fines. Motorists no longer need to worry that they may have overstayed their allotted time. Consumers can pay for their tickets with a variety of means, including debit cards, cash, valid permits and even season tickets. This level of flexibility makes it highly convenient for the customer and maximises revenue opportunities for the owner. Coins for pay and display machines are often seen as old-fashioned in this increasingly cashless society and many customers prefer a choice of payment options. A pay on foot car park helps to reduce congestion and save time for all concerned. The machines feature a customer-friendly design combined with the latest software so maximum levels of efficiency are guaranteed. It’s an effective system that can be used in a small car park or, as is more often the case, a large car park with several thousand spaces. Your system can be customised to suit your individual business requirements. Choose from hourly rates or a flat day tariff – it’s up to you. There are many features that you can select to create a completely bespoke parking solution. Pay on foot parking solutions are designed for unmanned use, 24 hours a day, resulting in a massive saving in staffing overheads. The machines are completely reliable and don’t need to be trained or be paid for holidays! How Does a Typical Pay on Foot System Work? On entry, often via an automatic barrier, the customer receives a ticket with a barcode. This ticket is then fed into the machine when the customer is ready to leave the car park, so the length of time the customer has used the car park is instantly calculated. The customer is then accordingly presented with the correct fee. After payment has been made, the payment machine will issue a ticket that will enable them to exit the car park. It’s an incredibly simple process and the vast majority of customers quickly understand how to use the system. What Type of Businesses Can Use These Parking Systems? The only downside to these innovative parking systems sometimes occurs when customers return to their cars and forget to pay at the machine resulting in a slight inconvenience for them. You can reduce the chances of this happening by investing in clear signs instructing people what to do before returning to their cars. However, this disadvantage is negated by the fact that it is impossible for the customer to leave the car park without paying the correct amount of parking payment for their stay. It’s how the system generates the highest levels of profitability for the site owner. Even more, although customers forget to pay when first encountering these new parking systems, it becomes less common as time progresses. A pay on foot parking system is by far the most cost effective solution for any sizable company.